Chiropractic Adjustment - Chiropractic adjustment can correct an impressive range of symptoms and ailments starting with upper and lower back pain. It is also effective against neck, shoulder, and leg pain. By normalizing the position of your vertebral joints, we can help you stand and move with a straighter posture, reducing painful muscle strain and improving your nervous system function in the process. 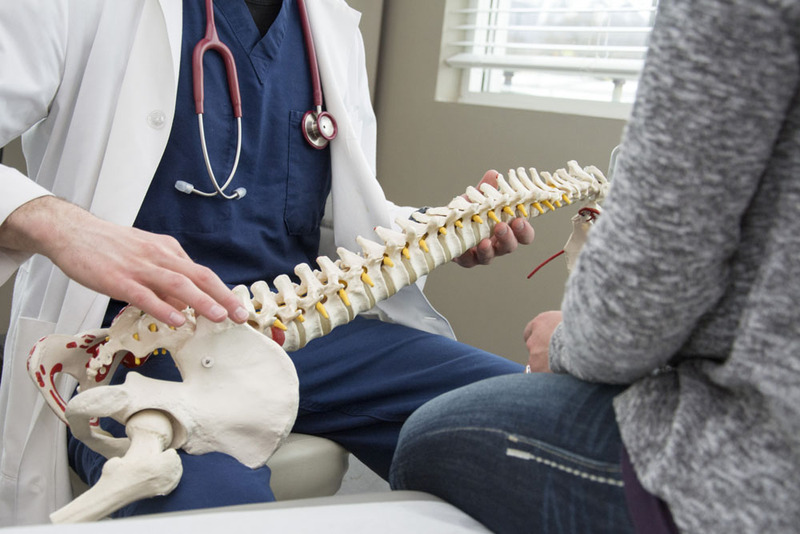 Spinal Decompression - You don't have to see a surgeon for problems such as herniated or bulging discs that are putting pressure on your spinal nerves. Our non-surgical spinal decompression techniques can safely and non-invasively correct disc height and position to relieve your pain and other neurological symptoms. We offer the Vertebral Distraction Pump (VDP) for pinpoint-accurate decompression of specific areas. Spinal and Postural Screening - Your body might be off balance without your even knowing it, potentially creating nagging aches and pains as well as premature joint wear. Periodic spinal and postural screenings at Anderson Chiropractic can detect even small deviations so they can be corrected quickly and easily. We can also screen school-age children for issues such as scoliosis. Digital X-Ray Diagnostics - Digital X-rays are a profound improvement over standard film-based X-ray diagnostic technology. Our chiropractor uses this technique to obtain high-resolution images with a minimum of radiation -- and the images are instantly available for sharing electronically or viewing on a computer monitor. Corrective Exercises - Whether you're recuperating from an injury, coming back from surgery or combating a chronic musculoskeletal problem, corrective exercises can help you regain and enhance your health, strength, and flexibility. Personalized exercise programs make a great complement to chiropractic adjustment and other natural treatments. Physiotherapy - Soft tissue pain, stiffness, and injuries can respond beautifully to the right mix of physiotherapy techniques. Our Sacramento chiropractor can combine physiotherapy with corrective exercises and spinal adjustments to provide you with drug-free pain relief and optimal healing. Nutritional Counseling - Your body requires sensible servings of the right raw materials to heal itself and keep itself well. We can analyze your eating habits and prescribe smart changes to help you improve your health and avoid issues such as obesity-related joint pain or diabetes. Lifestyle Advice - Our clinic provides advice on optimizing your sleep, activity and personal lifestyle habits. We even offer personalized Chiropractic Lifestyle Plans to address specific needs, challenges and goals. As you can see, Anderson Chiropractic is ready to help you and your loved ones thrive. Call our Sacramento clinic at 916-485-5433 for an appointment and take advantage of our many services!